Ask any duck hunter and they will tell you one of the tools they use to attract ducks is DECOYS. Let's face it, birds aren't geniuses. They may be evolutionary wonders. Granted, they are certainly marvels of diversity. But having evolved in a world free of such reality twisters such as windows and decoys, they just don't get it. That's why birds will always face dangers from window strikes and birds will always fall for the old decoy trick. 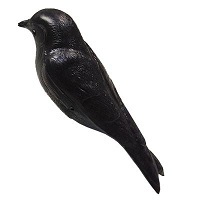 How can a Purple Martin Decoy help you? 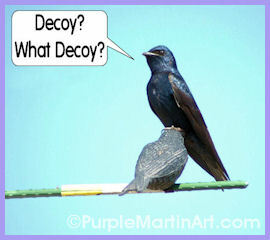 The first and most obvious use of purple martin decoys is to help you attract purple martins to your housing. A new Purple Martin house with no activity may come across as an abandoned site. Martins seek out their own. They find protection and safety in numbers. 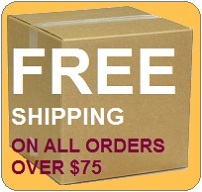 If your site comes across like a ghost town passing birds may just keep going. To a bird, it's all about safety and that safety comes in numbers. 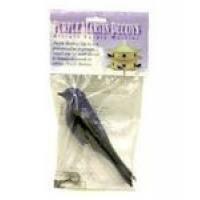 Using proven tools such as Purple Martin decoys and playing Purple Martin dawnsong will cause passing birds to give pause and check out your site. 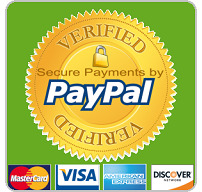 It's as if there is a party going on and they will want to check it out. By placing nesting material in the nest compartments and even smearing some mud on the floor(to give the appearance of previous activity), you can increase the positive effects of decoys even more. 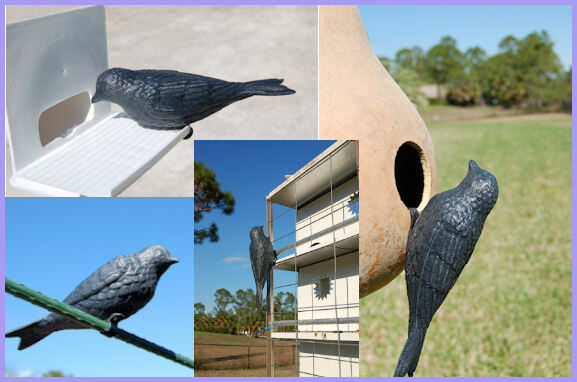 Decoys can be positioned any any number of ways to give the appearance of natural behaviors of purple martins at a colony site. The decoys have a small bracket that is used to position the decoys on perches, porches directly on the houses or even sticking out of open compartments to give the illusion of occupancy. Another added benefit for the use of purple martin decoys is for hawk protection. As a hawk approaches a colony site it will pick out the bird that appears the weakest or a bird that it has caught off guard. The last bird to notice a hawk is usually the one that gets caught. To a hawk, this seemingly off guard bird makes an attractive target and can lure hawks into attacking the decoy instead of the Purple Martins flying away in alarm at your site. Many a Purple Martin have been saved by a hawks moment of confusion caused by a seemingly easy target. A beak-full of plastic later, the real martins are long gone. Though the hawks will eventually wise up to the decoy trick, even an extra second of pause can help fleeing martins escape. Some martins may seem afraid of the decoys, they quickly get used to them and any initial fear is greatly outweighed by their benefits. Of course you can always remove the decoys if you believe the birds fear reaction is severe. But the martins will grow accustomed to them.